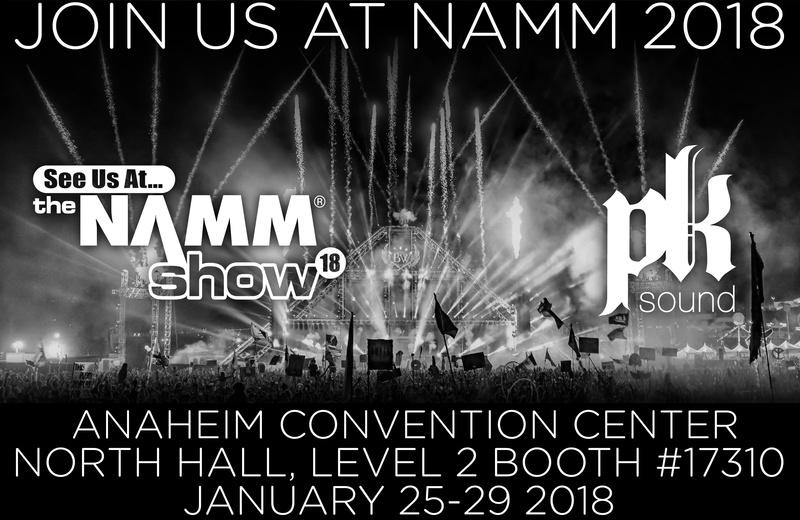 Join our team at this years NAMM Show where we will be showcasing our Trinity family of advanced robotic line array series, alongside our Gravity subwoofer technology. Come and see our latest product technology and leave with redefined expectations! "The NAMM Show is the definitive platform for the music, sound, and event technology communities to unite with the mission of strengthening the music products industry and promoting the pleasures and benefits of making music. Held in Anaheim every January, The NAMM Show offers the latest products from more than 7,000 brands, cutting edge industry education across hundreds of sessions, as well as special events, concerts and experiences where "only at NAMM" moments take place." To read more about PK Trinity, CLICK HERE.